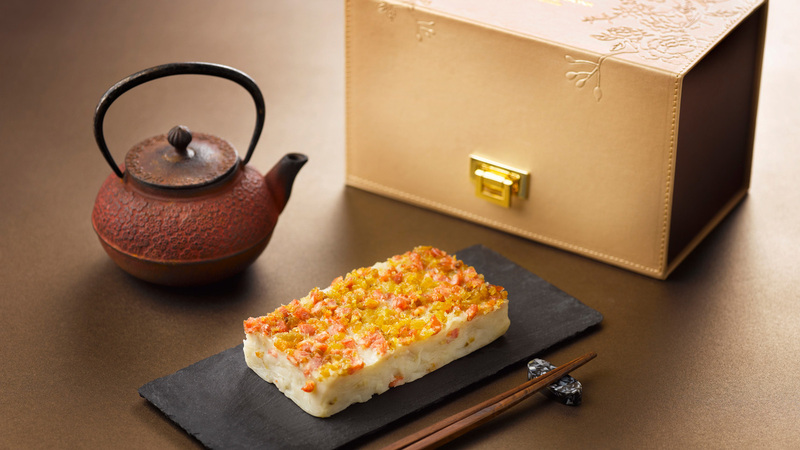 Three Michelin star Lung King Heen at Four Seasons Hotel Hong Kong introduces two new flavours for their traditional puddings for this year’s Chinese New Year festivities – water chestnut pudding with strawberry fruit tea and Lunar New Year pudding with coconut flower syrup. Steeped in tradition and sophistication, the Lung King Heen puddings make great gifts or better still – have them at your family reunion! 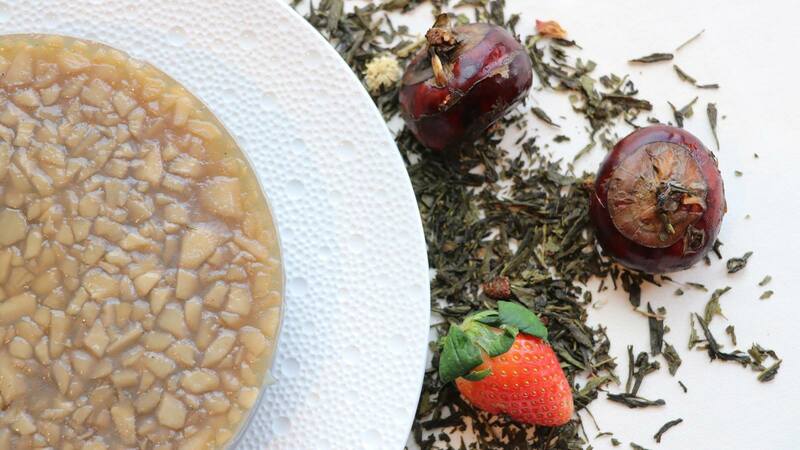 For the Year of the Pig, Chinese Executive Chef Chan Yan Tak and team bring a delightful twist to the traditional water chestnut pudding, infusing it with strawberry-lychee fruit tea. The green tea in the infusion adds a grassy balance to the sweet fruit for a refreshing, innovative dessert. 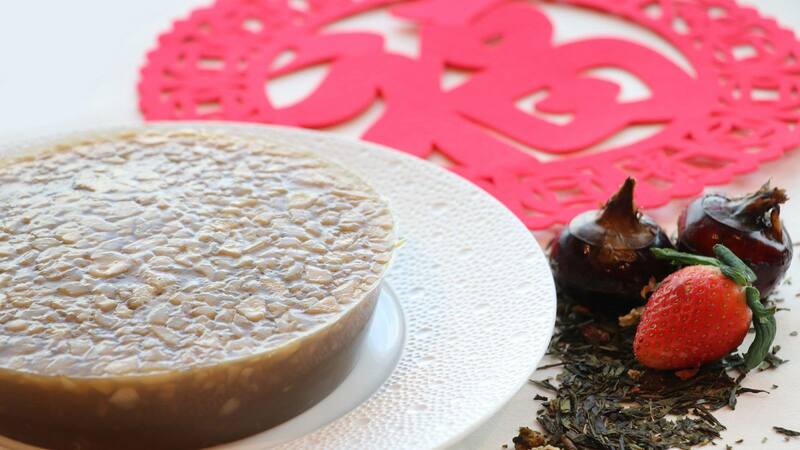 An alternative to the traditional Lunar New Year pudding, Lung King Heen adds organic coconut flower syrup in the mixture, giving a caramel-like aroma that makes a perfect complement to the steamed chewy rice cake. Coconut flower syrup is an all-natural sweetener, low on the glycemic index giving this classic snack a healthier, tropical twist. 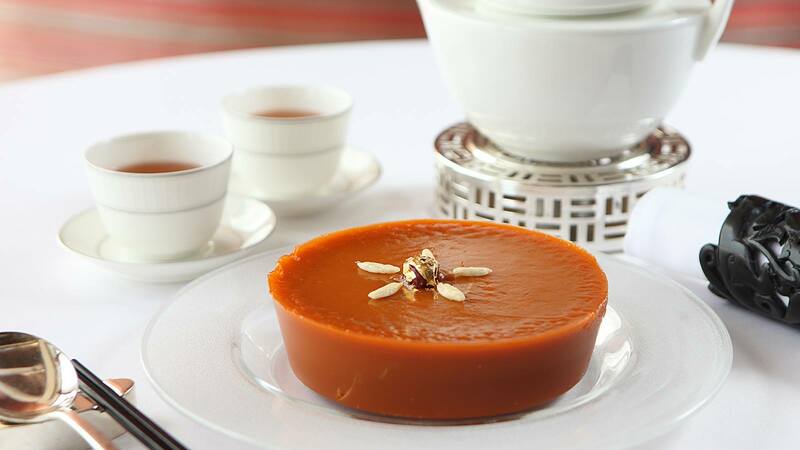 A perennial favourite of local guests, Lung King Heen puddings come in two additional flavours, each handmade and produced in small quantities by the star team helmed by Chef Tak. You can also send well wishes of luck and fortune to friends and families by gifting them with Lung King Heen Chinese New Year hampers. Choose from Lung King Heen Ultimate, Lung King Heen Deluxe and Lung King Heen Gourmet, priced at HKD 13,998, HKD 3,998 and HKD 2,990 respectively. All hampers include a fine selection of gourmet treats that represent good luck, prosperity and health, as well as the highly sought-after Lung King Heen XO sauce, which is produced in limited quantities. The Ultimate Hamper has a large variety of lavish items, including superior dried black moss, five to six heads dried fish maw, six heads South African abalone and more. Puddings and hampers are available to order from January 10, 2019; hampers will be ready for collection on the same day; puddings are available for pick up from 12:00 noon to 8:00 pm at the Festive Desk, between 28 January 28 and 4 February 2019. Save 15 percent if the puddings are ordered and payment is made before 21 January 2019. 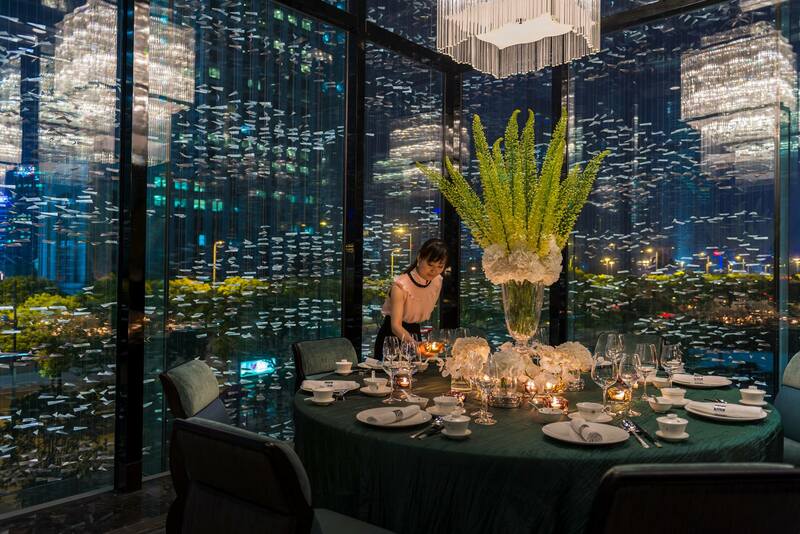 Four Seasons Hotel Pudong, Shanghai has Cantonese and Italian menus at Shàng-Xí and Camelia, specially prepared for the Spring Festival. Shàng-Xí has two set menus, with a highlight being the Lo Hei. “Lo Hei” in Cantonese means “tossing up good fortune”. By saying auspicious phrases before eating it, it is believed that the higher the toss, the better your prospects and fortune in the year ahead. Joining this fun and healthy dish are spectacular, authentic and flavourful choices: fresh and savoury appetizers, followed by Double-Boiled Fish Maws Soup, Braised Abalone, Sautéed Australian Wagyu Beef, Crispy Roasted Chicken, Steamed Star Garoupa, and more, with desserts including Chilled Bird’s Nest. This feast is priced at RMB 7,888, suitable for 4 to 7 guests. A set menu for 8 to 10 guests is also available at RMB 10,888 during dinner time from 4 February to 7 February 2019. Over at Camelia, enjoy a lovingly prepared Italian Antipasti selection and soup, surf & turf such as a Grilled Lamb Rack, Spring Chicken, King Prawns, Scallops, and mains of Wagu Beef, Seafood Cartoccio and handmade pizza. The meal is priced at RMB 488 each, for a minimum of six guests, available during dinner time from 4 February to 8 February 2019. 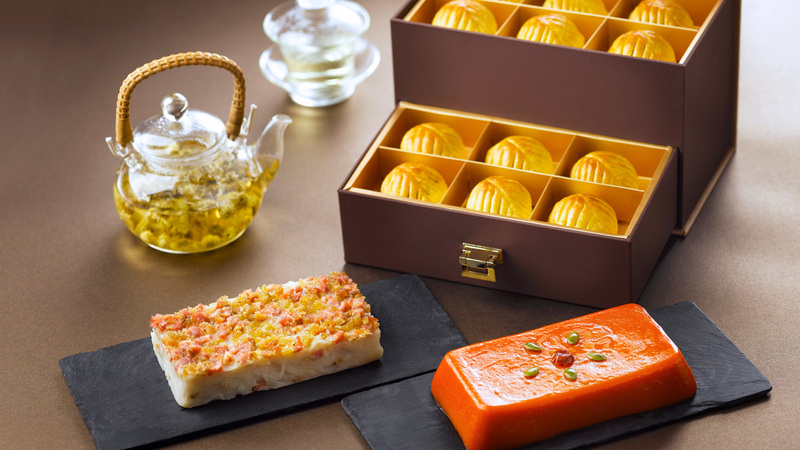 Usher in a prosperous and abundant Year of the Earth Boar with delicacies and specialty menus at the award-winning Jiang-Nan Chun 江南春, at Four Seasons Hotel Singapore. 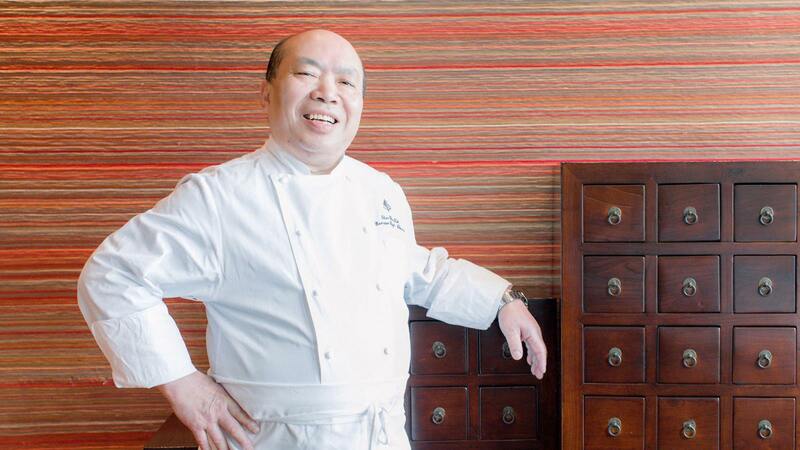 Enjoy festive dining at Jiang-Nan Chun from 21 January to 19 February 2019 in sophisticated ambience made even more special with the celebratory menus crafted by Executive Chinese Chef Tim Lam (林漢添) who has more than 24 years of culinary experience in prestigious Chinese restaurants in Hong Kong and Macau. The festive menus featuring fresh, seasonal produce are available at SGD 148, SGD 178 and SGD 228 per person for six courses, and range from SGD 1088 per table of either persons to SGD 5,688 per table of ten persons for eight courses. 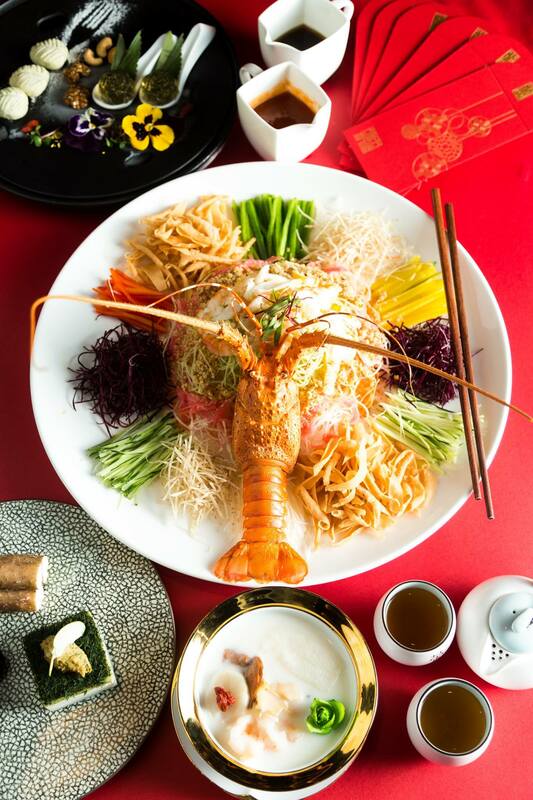 Toss to prosperity and abundance with fresh Australian lobster and abalone yu sheng (yee sang). Savour the natural textures and flavours of the daily sourced lobster and abalone, complemented by hand-shredded seasonal vegetables and homemade condiments and sauces. You could also opt to augment the lo hei with fresh, raw salmon slices. Also available is a six-course vegetarian set menu priced at SGD 118 per person and other specials including wok-fried Boston lobster in black bean sauce and braised six-head abalone with dried oyster and black moss. 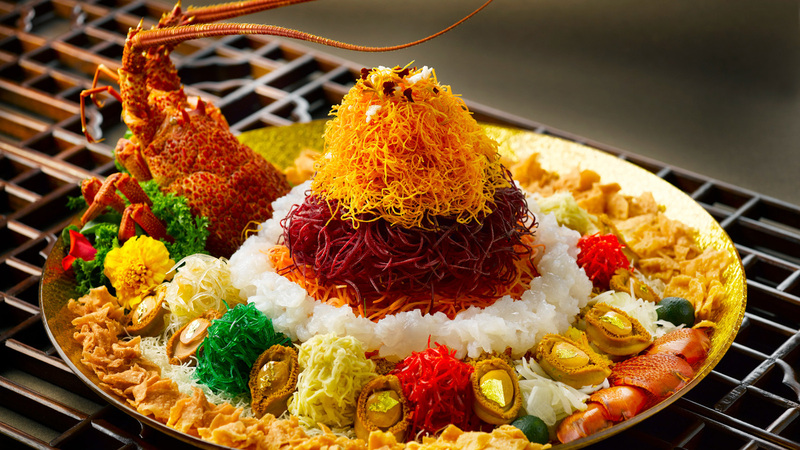 Celebrate with Lo Hei Banquets from 14 January to 19 February 2019 with specially curated set menus enjoyed in the luxury of the hotel’s elegant ballrooms. The seven-course set lunch menus start from SGD 988 per table of ten persons, while the eight-course set dinner menus start from SGD 1208 per table of ten persons. You also have the option of individually plated seven-course set menus from SGD 123.80 per person for lunch and from SGD 130.80 per person for dinner. You can also bring home some Lunar New Year Takeaway Treats from 7 January to 1 February 2019. The range includes sweet and savoury Lunar New Year delights, which are great for festive gifting. The Prosperity Smoked Salmon Yu Sheng 年年有余庆丰收 is the restaurant’s signature yu sheng, and is a bestseller that comprises a mix of interesting ingredients including smoked salmon slices, crispy vermicelli, fried sweet potato strips, preserved papaya, beetroot and shredded radish, complemented with a homemade dressing of plum sauce and pineapple paste. 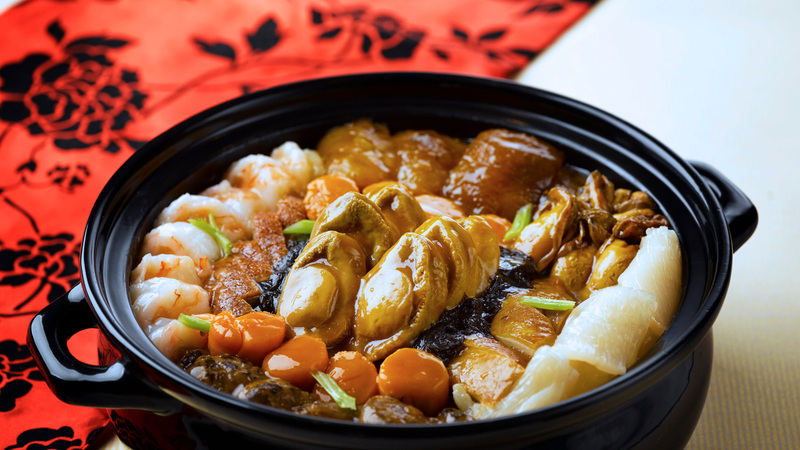 It is available for takeaway at SGD 98 nett (up to six persons), SGD 138 nett (up to ten persons). The hotel recommends that orders are placed one day in advance, with the last pre-order date for takeaways is 1 February 2019. Visuals courtesy of the respective hotels.